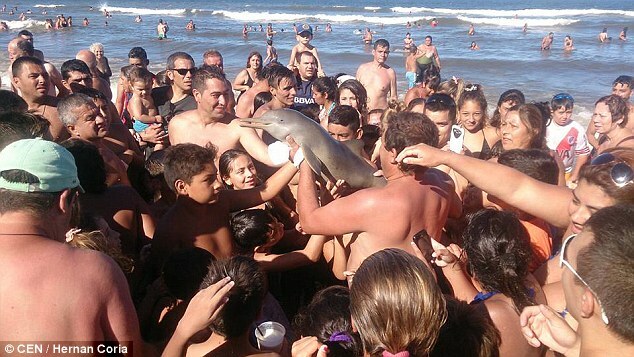 Outrage erupts after a young Argentina dolphin dies after carried on beach at Santa Teresita. 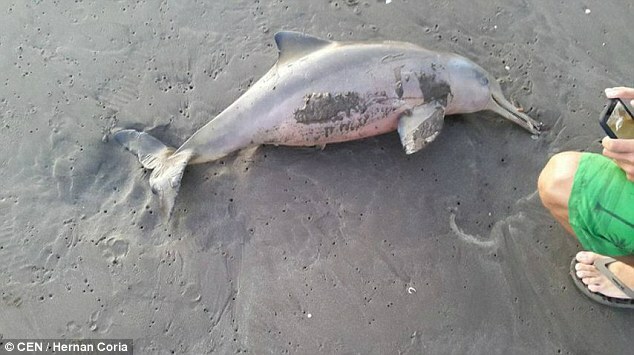 A young dolphin in Argentina has died after being carried on to the beach at Santa Teresita for people to stroke and take photos and then dumped on the sand after ‘visitors’ had their fun. The dolphin’s death, according to local reports, the result of dehydration came after witnesses told of the mammal being ‘paraded’ like a trophy at the hands of brimming sunbathers who then abandoned the dolphin. 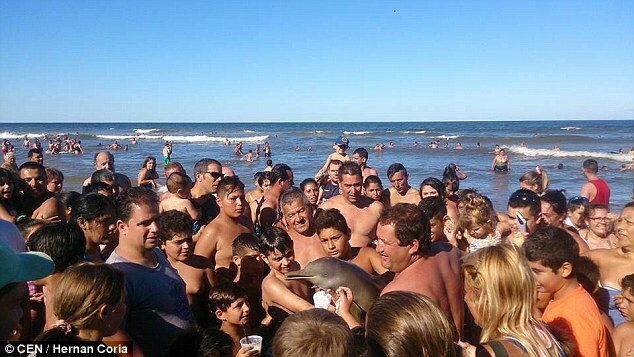 At the time, beach goers scrambled for a ‘chance’ to take selfies with the dolphin at the beach resort of Santa Teresita on the north east Buenos Aires Province. News of the mammal’s death has since caused outrage with a report via the dailymail noting that the La Plata dolphin, also known as the Franciscana dolphin, known to be one of the rarest dolphins in South America can live to be 20 years old. 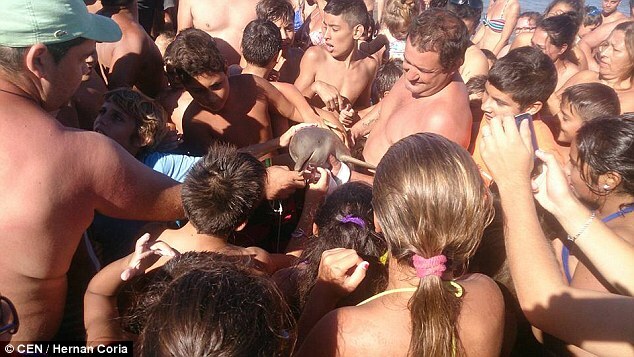 The incident led to the Wildlife Foundation in Argentina issuing a warning of the vulnerabilities pertaining to the mammal, which only presents itself off the coast of Argentina, Uruguay and Brazil. ‘This occasion serves to inform the public about the urgent necessity to return these dolphins to the sea as soon as possible if they find them on the shore. It is fundamental that people help to rescue these animals, because every Franciscana counts now’. The Franciscana dolphin is listed as ‘vulnerable‘ in the International Union for Conservation of Nature (ICUN) Red List of Threatened Species. There are only around 30,000 examples thought to be left in the world. It is not necessarily understood if authorities will seek to take legal action against beachgoers observed haranguing the dolphin…. ?